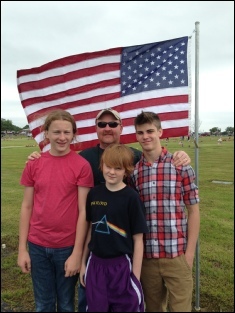 Robert Reed and family standing in front of the flag of honor displayed on Memorial Day in remembrance of his grandfather, Robert Frederick Reed. 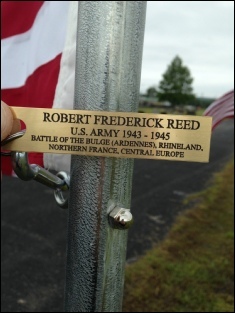 Remembering all who sacrificed for our freedom. 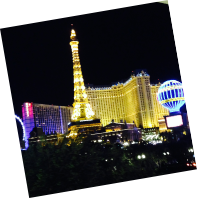 We just returned from the Inside Self Storage World Expo in Las Vegas and were thrilled to see so many of our customers! 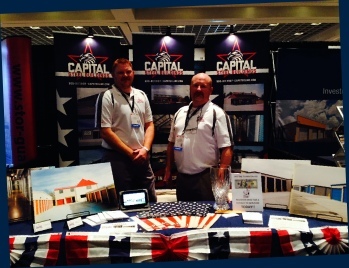 It was a great turnout and a welcomed opportunity to visit with future customers about new and exciting projects. 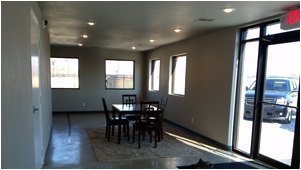 Call us to discuss the ISS Vegas show and how we can help with your upcoming project! 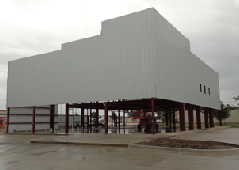 This is one of our favorite structures. 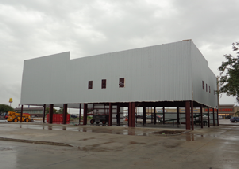 A 50’ x 130’ building with varying eave heights. 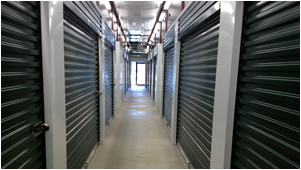 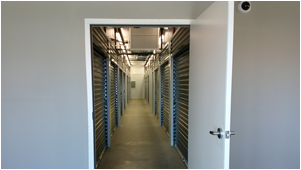 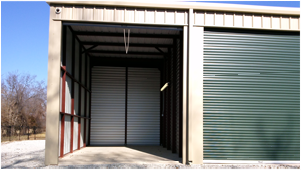 A smart combination of typical, drive up storage units, enclosed boat & RV storage units, interior climate controlled units and a super office for conducting business, all under one roof! 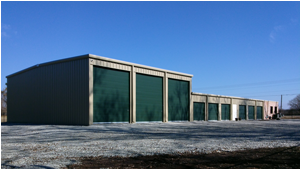 This great unit mix has something for everyone and will provide invaluable information for future unit mix design. 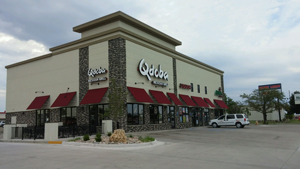 We provided our customer with the open space needed for a top notch restaurant chain, a full service bank & (2) additional retail units. 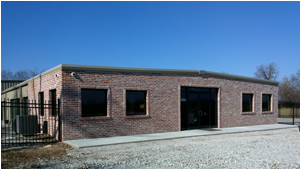 This 7,000 square foot building includes 4,500 square feet of 2nd floor mezzanine providing valuable office & storage space. 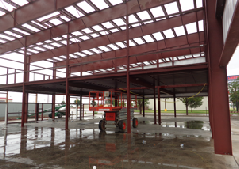 The 2nd floor mezzanine broadens the overall function of the building and amplifies the return on investment without having to increase the size of an expensive, commercial lot. 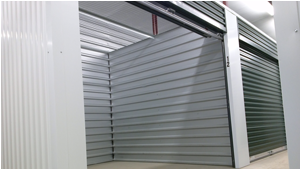 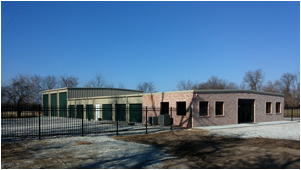 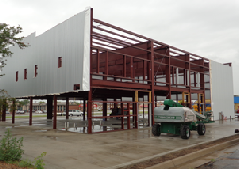 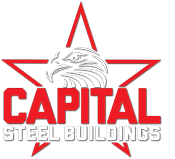 By working with Capital Steel Buildings, our customer was able to get a better building, a faster construction process and substantial savings! 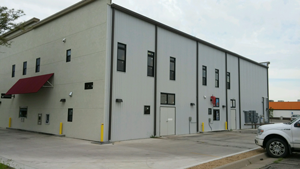 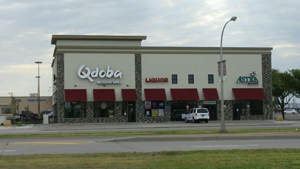 Check Out This Beautiful Multi-Tenant Building!